WASHINGTON, Dec 3 2012 (IPS) - International financial support aimed at counteracting the world’s “neglected diseases” increased by nearly a half-billion dollars over the past five years, according to new research released Monday, but changing funding dynamics could already be having a negative impact on the development of cures for diseases that affect a substantial proportion of the world’s poor. More worrying, funding for research into these diseases remains highly dependent on a tiny number of players. This particularly includes the United States – both the public sector, in the form of the National Institutes of Health, and the philanthropic sector, in the form of the Bill & Melinda Gates Foundation – which continues to fund around 70 percent of investigations into these diseases. 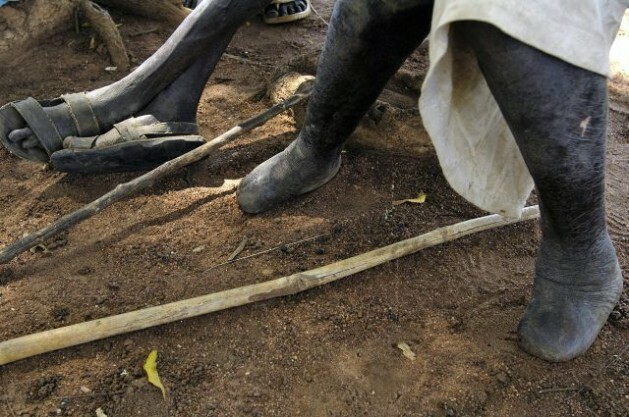 The neglected diseases include a few dozen – leprosy, Guinea worm and other parasitic, viral and bacterial infections – that largely affect only poor communities in poor countries, and hence have traditionally received little attention from the entities that bankroll the extremely expensive process of drugs development. While funding for these diseases had begun to pick up, the new Global Funding of Innovation for Neglected Diseases (G-FINDER) report finds that this assistance has decreased again following the international financial crisis. Meanwhile, the only non-Western country to make it into the top 10 funders for neglected disease is India (which recently overtook Brazil), which on average has spent around 5.6 million dollars per year on related research. Although overall funding for neglected diseases has gone up by 443.7 million dollars, to about 2.9 billion dollars, since 2007, both public and philanthropic shares have gone down substantially. This is worrisome given that the public sector continues to make up around two-thirds of international funding for such research, almost all from high-income countries, and more than half of the top 20 governments cut their funding for such research in 2011 alone. While the U.S. government remains the single largest public funder of research into neglected diseases (following only the Gates Foundation), Washington too cut its outlay in 2011, down 2.2 percent to around 30.6 million dollars. “Some governments now appear to be in it for the long haul, which is great,” Dr. Mary Moran, one of the report’s authors and the executive director of Policy Cures, a London-based research group that published the G-FINDER, said Monday in unveiling the report. According to findings by Policy Cures, over the past five years, public money for basic research has increased by more than a quarter, to around 124 million dollars, and currently makes up about a third of all public investment in neglected diseases. Meanwhile, public investment in the costly and uncertain product development has actually gone down slightly. Moran compares this model to putting a man on the moon, for which one needs both scientists to do the research and someone to actually build the physical rocket. The private sector in recent years has indeed shifted its research focus away from three of the most high-profile diseases – AIDS, malaria and tuberculosis – to instead focus on a second tier of “semi-commercial” diseases, including dengue and meningitis, which today receive about a quarter of global spending. Yet according to the new report, funding for research for the third tier of diseases, including leprosy, trachoma and rheumatic fever, remains miniscule, with each receiving less than 0.5 percent of international commitments. Meanwhile, funding from major philanthropies has also declined significantly in recent years, from 691.6 million dollars in 2009 to 551.4 million dollars in 2011. Much of this can actually be traced back to changes in funding flows from the Gates Foundation itself, which makes up around 80 percent of the sector’s contributions – again underlining the danger of relying so significantly on just a handful of donors. “The lack of private-sector research and development for neglected diseases reflects the core problem that today’s R&D model relies on market incentives and high prices for a return on investment,” Dr. Manica Balasegaram, executive director of the Médecins Sans Frontières Access Campaign, said in a statement Monday. Although another round of discussions took place last week at the World Health Organisation towards a possible treaty on research and development, which would allow for greater coordination, the talks resulted in little movement.